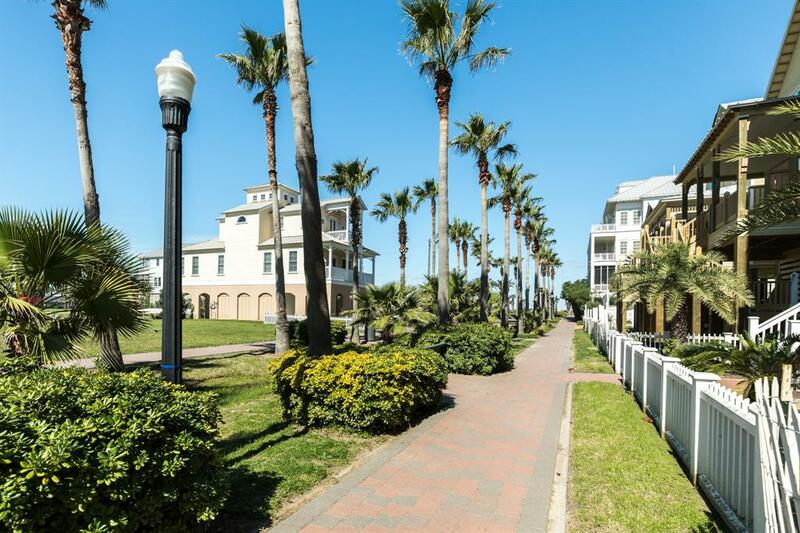 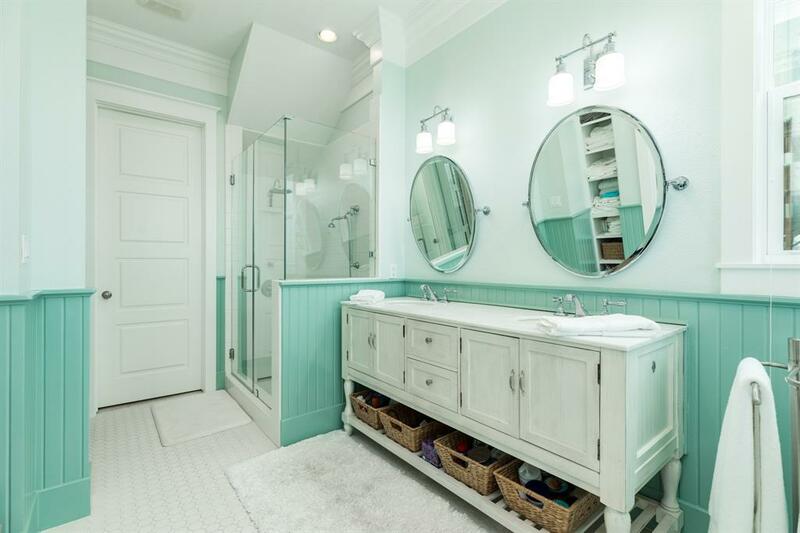 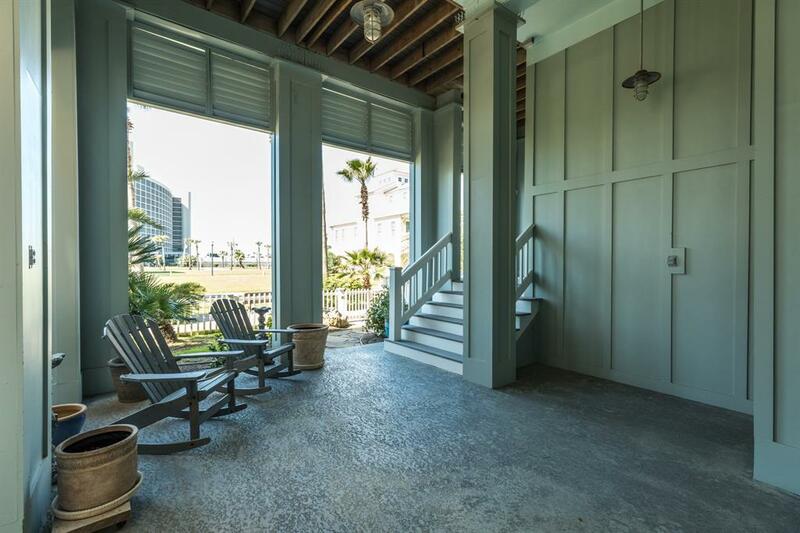 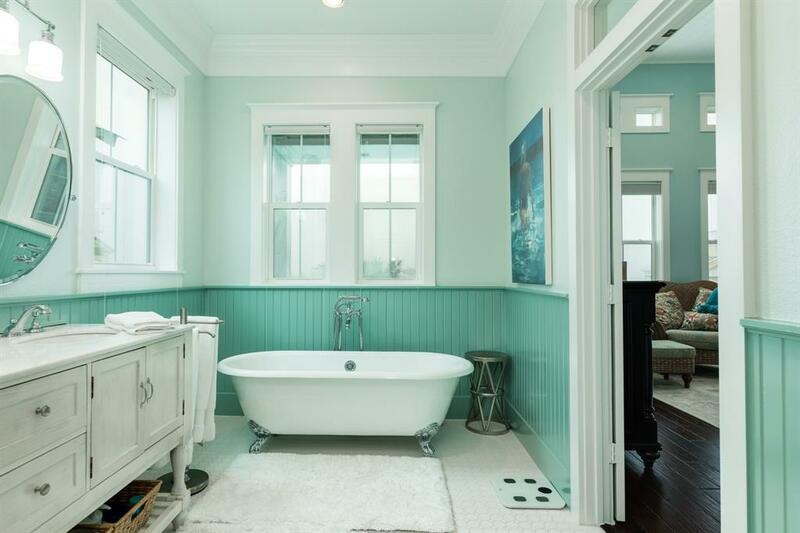 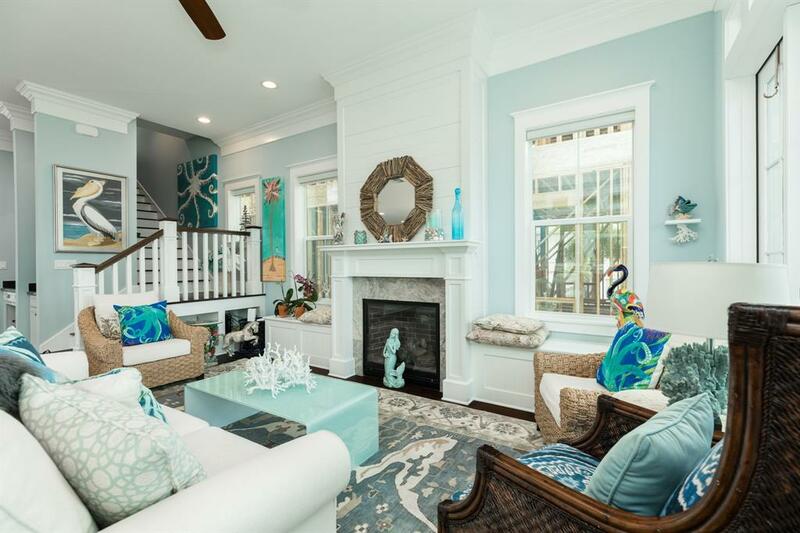 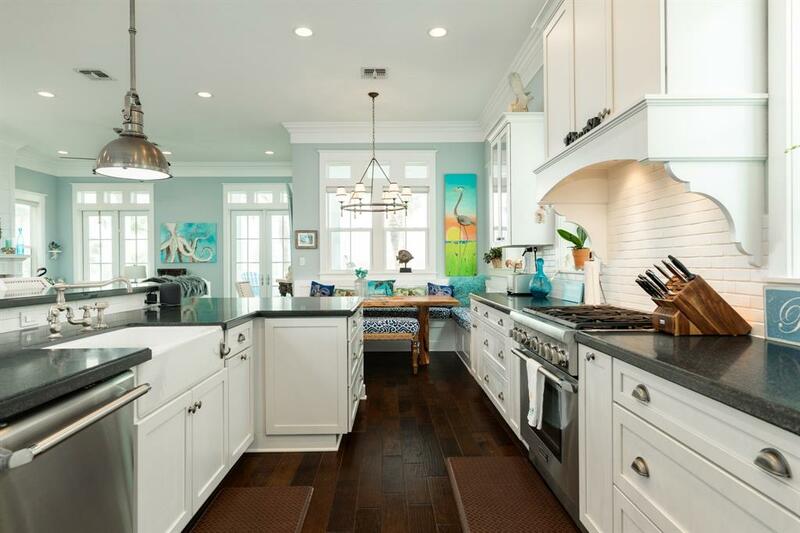 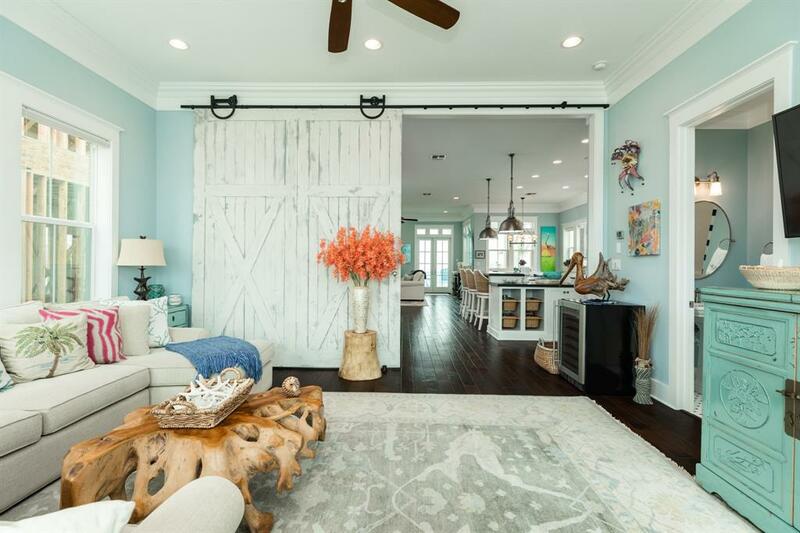 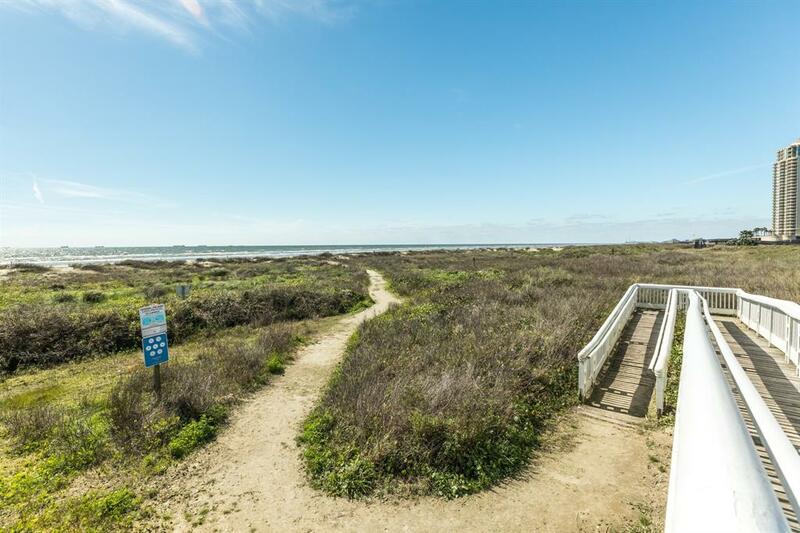 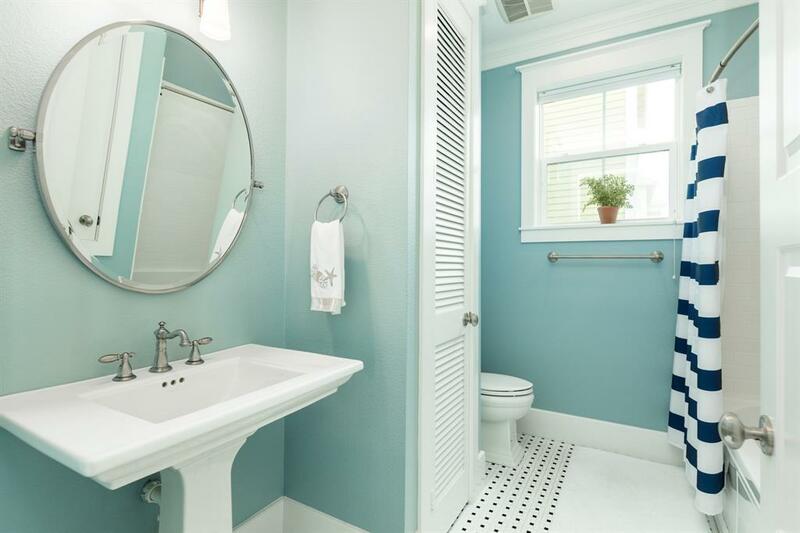 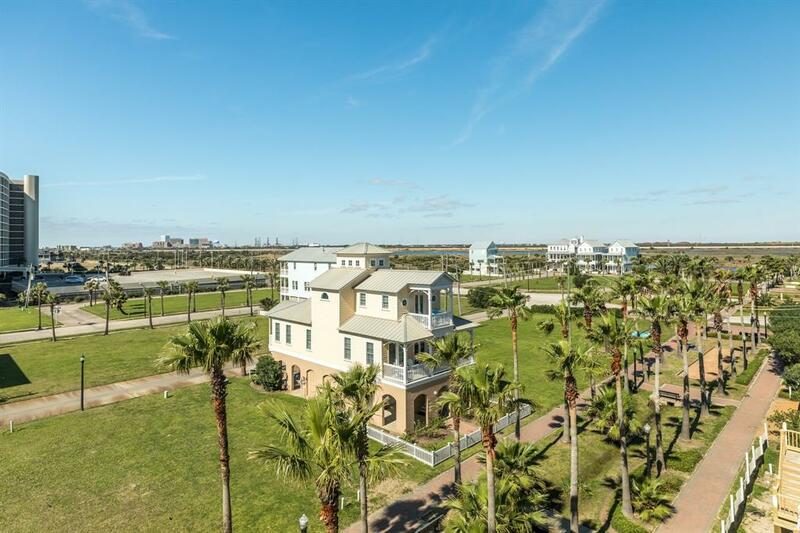 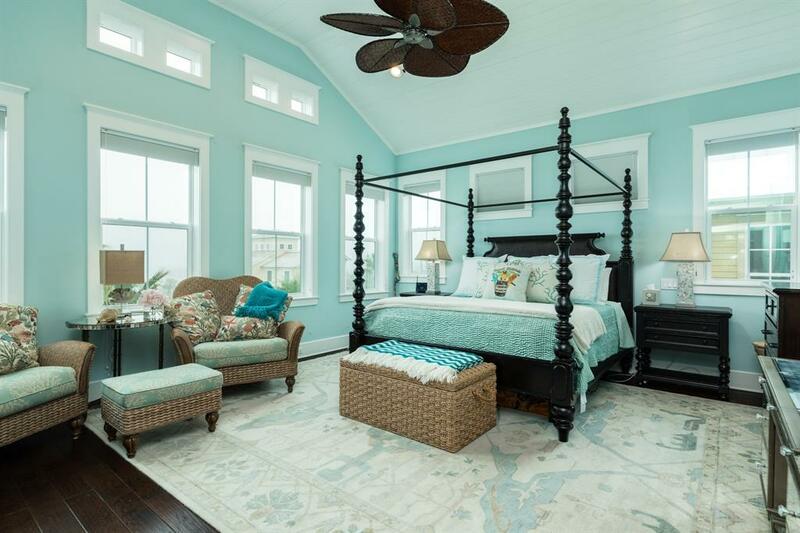 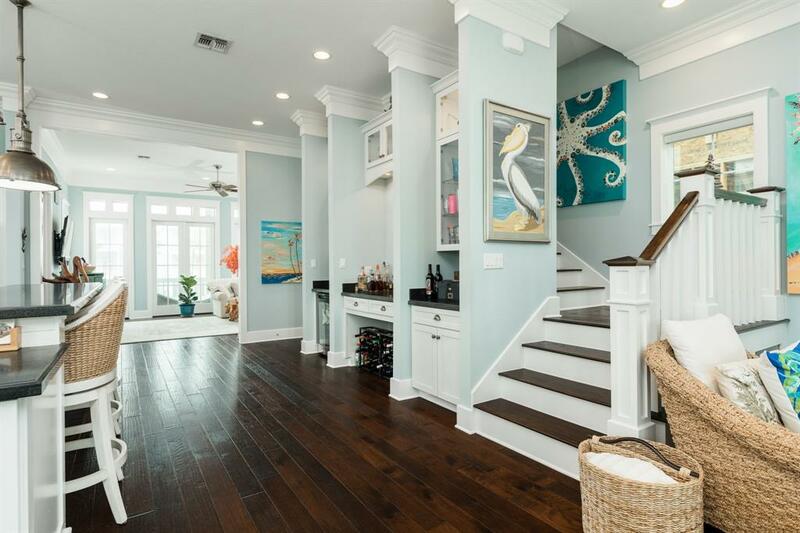 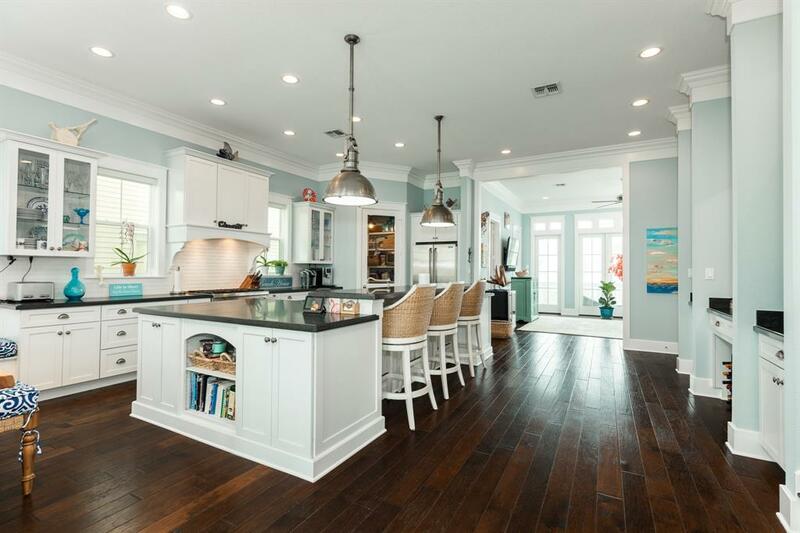 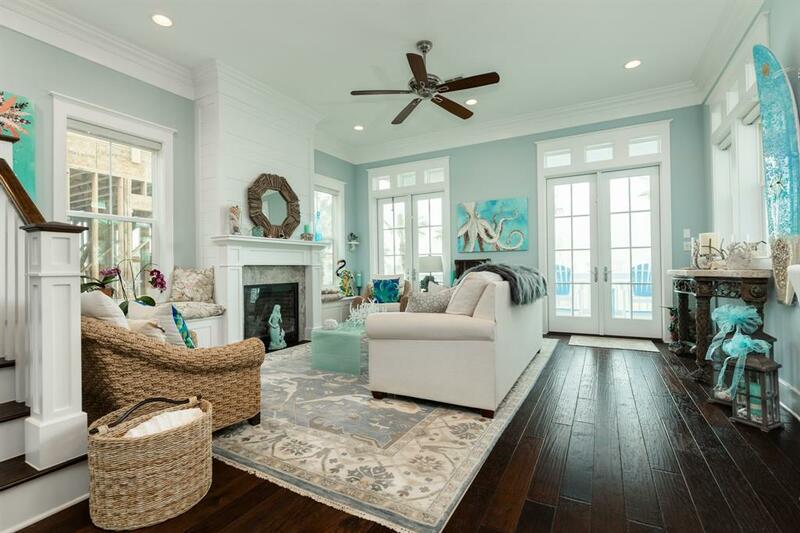 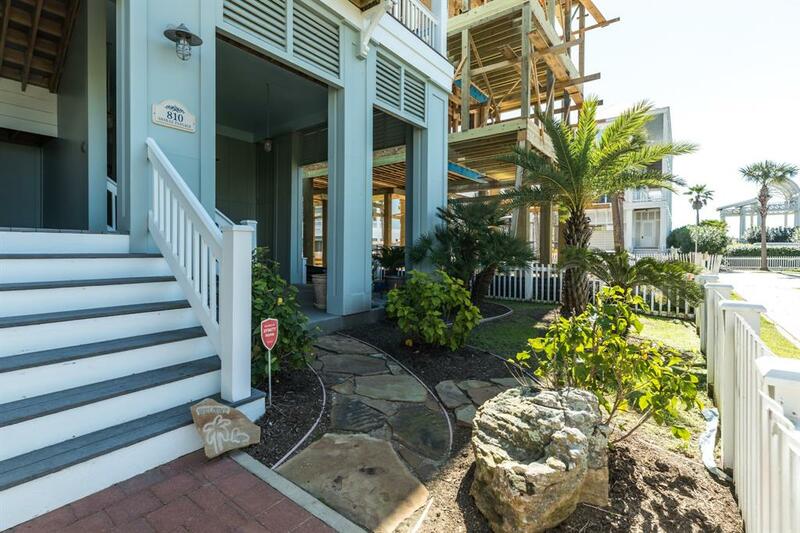 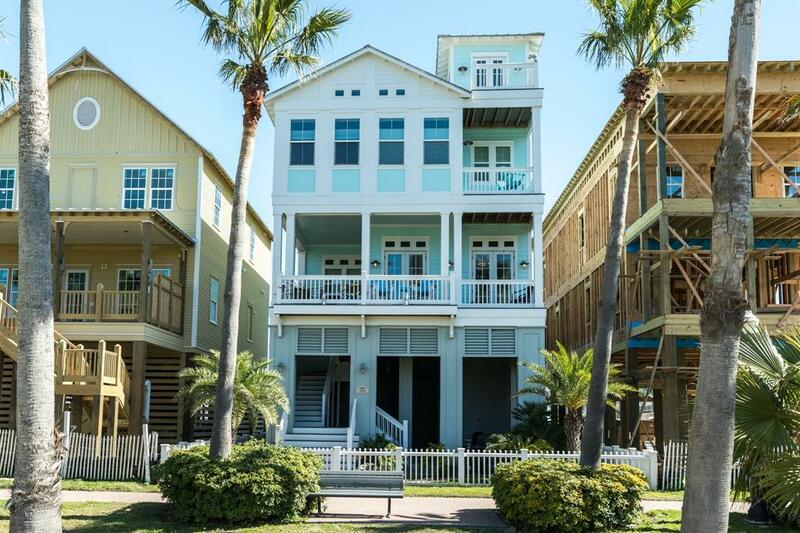 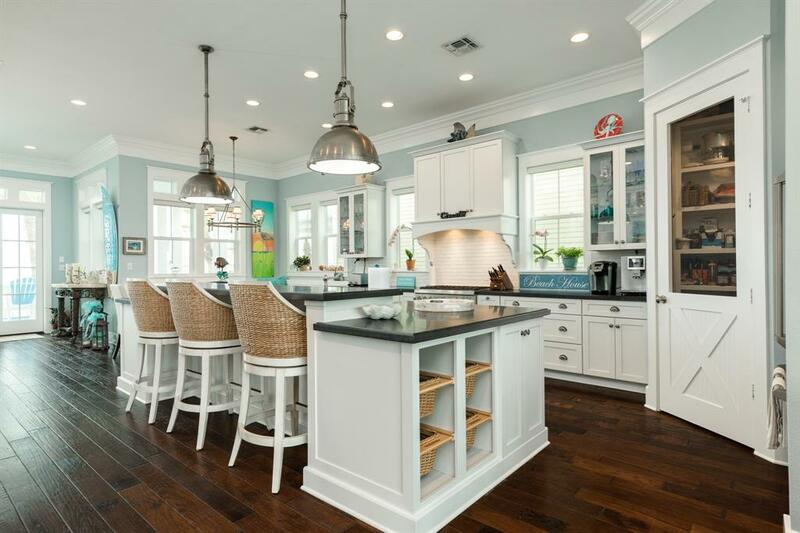 Stunning Beachside home built by Hank Gregory w/superior construction in Prestigious Beachtown Galveston. 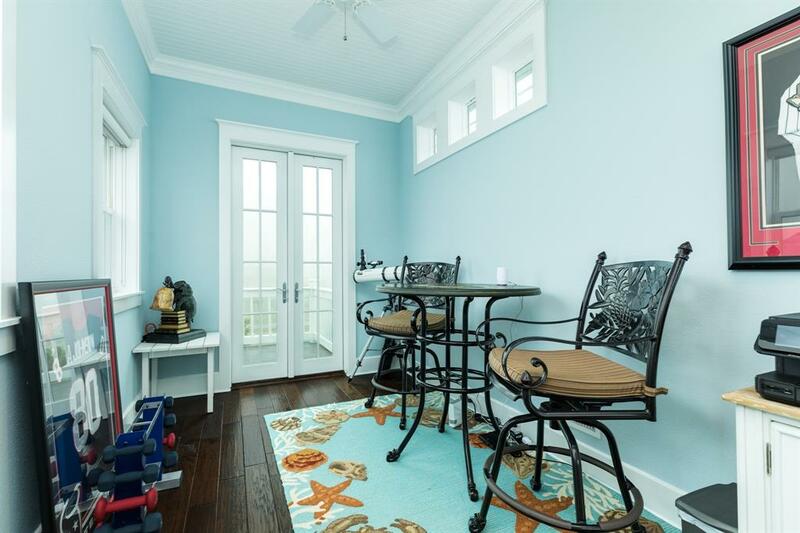 Spectacular views from all sides and decks,especially the 3rd floor observatory room w/beaded board ceilings & balcony w/tremendous views.Must see the level of quality & craftsmanship in this home featuring tall ceilings, multi crown molding, hardwood hand scrapped floors, transoms, can lighting, fans & much more. 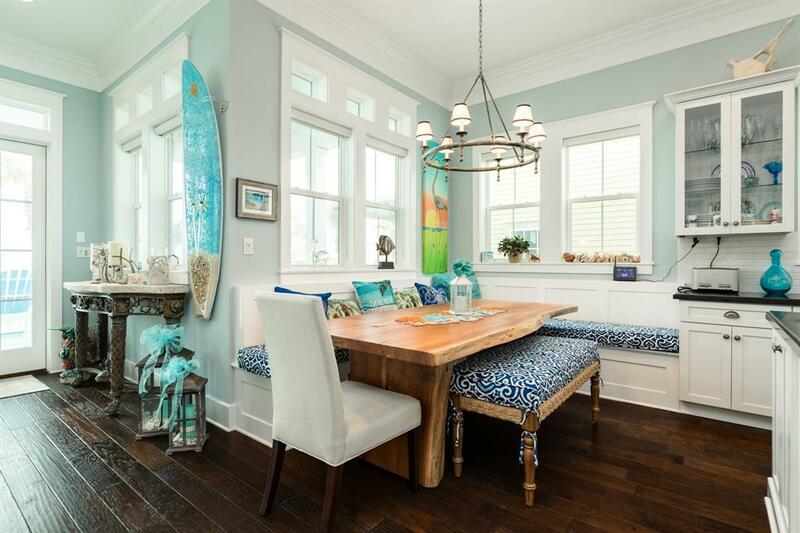 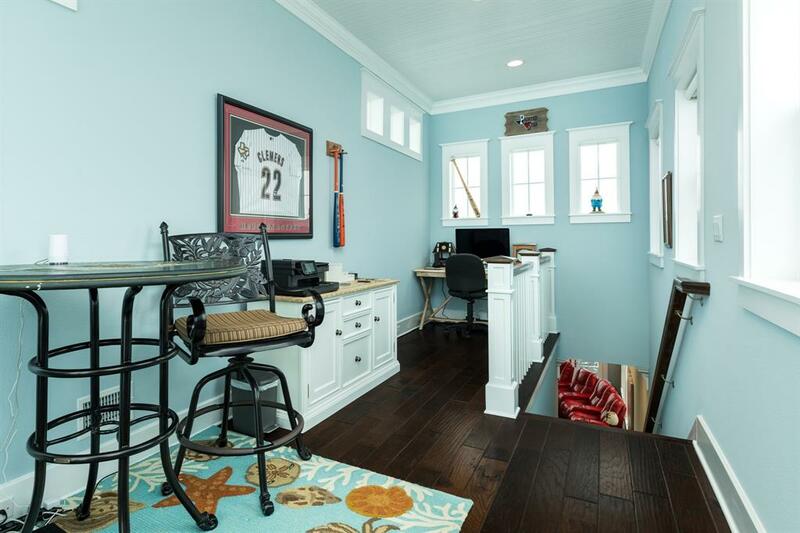 Incredible natural lighting throughout from the high rated doors & windows. 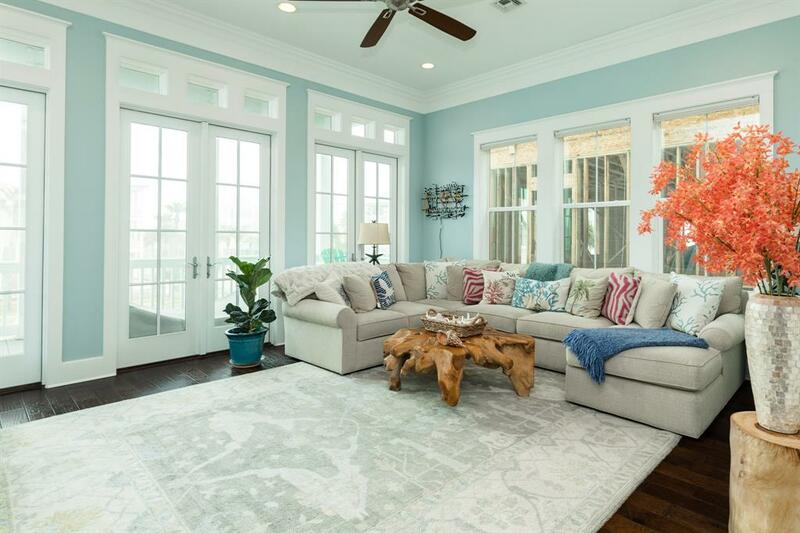 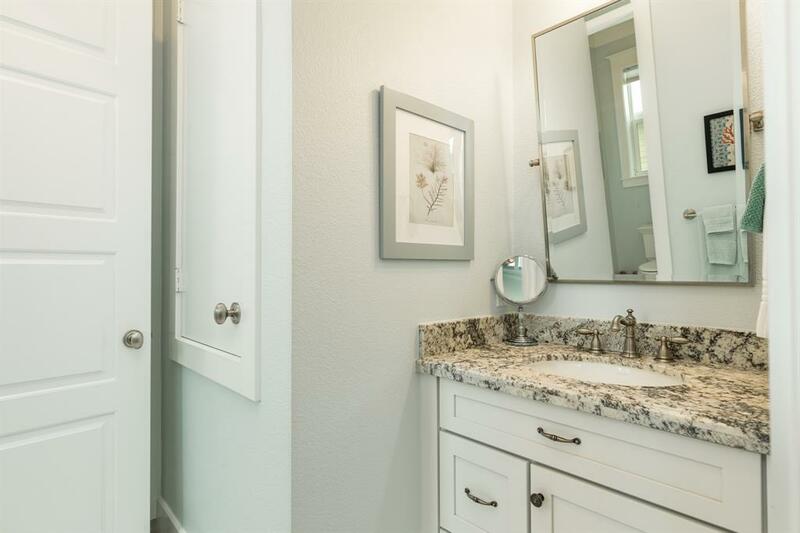 The main level features a large living room, dining & beautiful kitchen w/covered porch connected to a family room which can double as a separate 4th bedroom w/adjoining large deck. 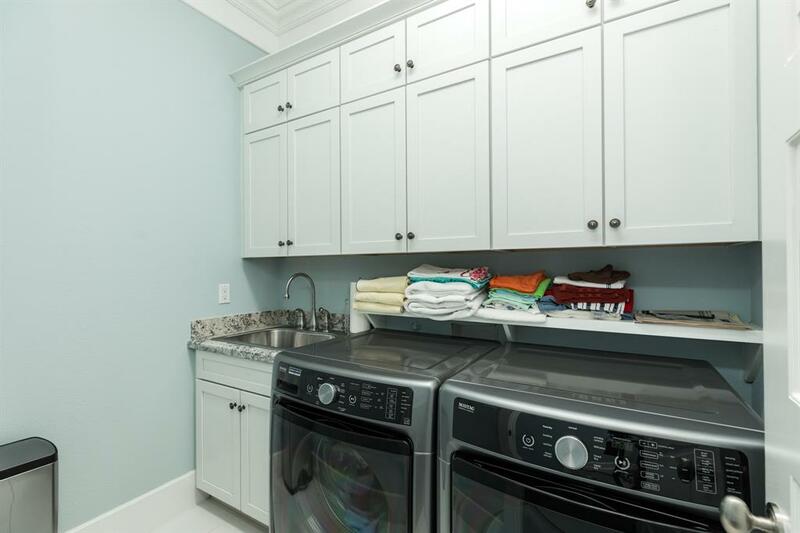 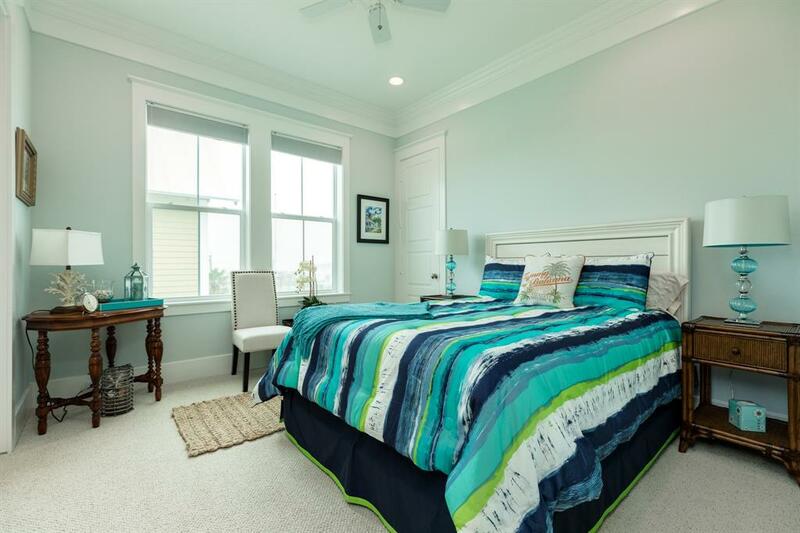 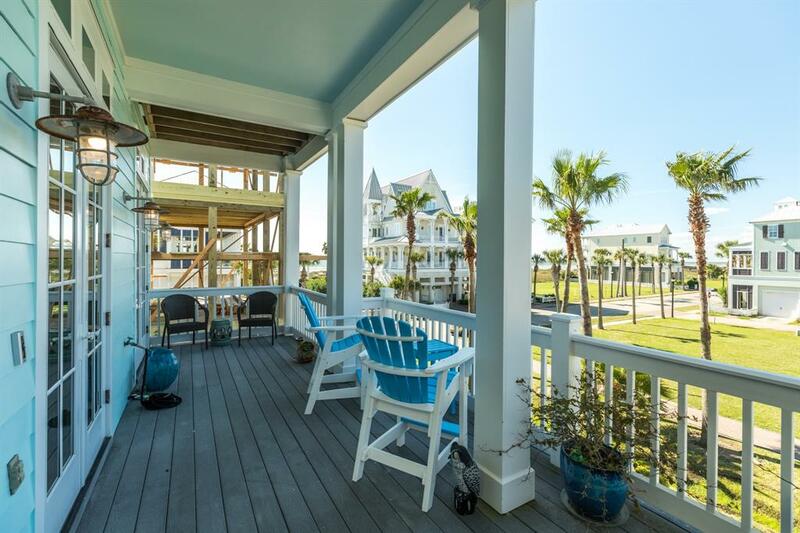 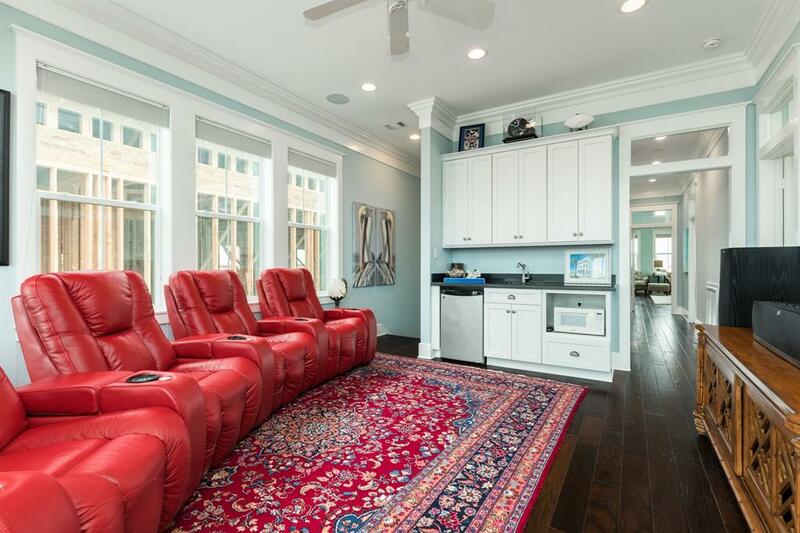 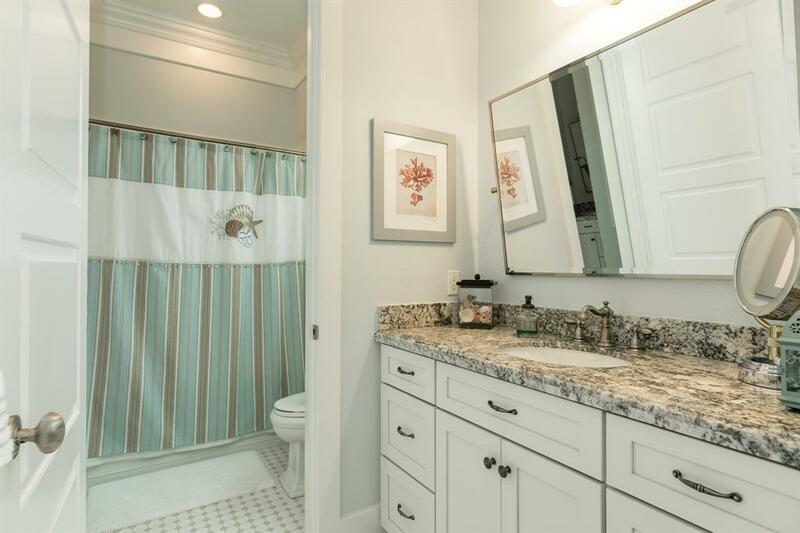 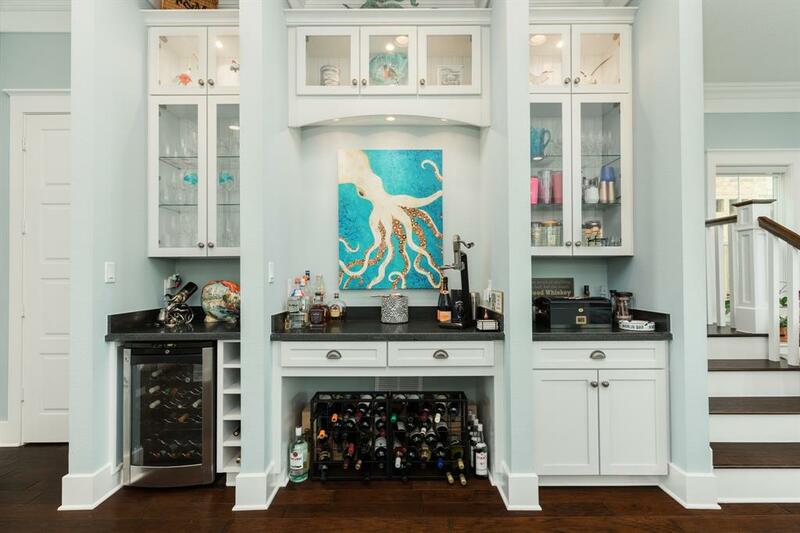 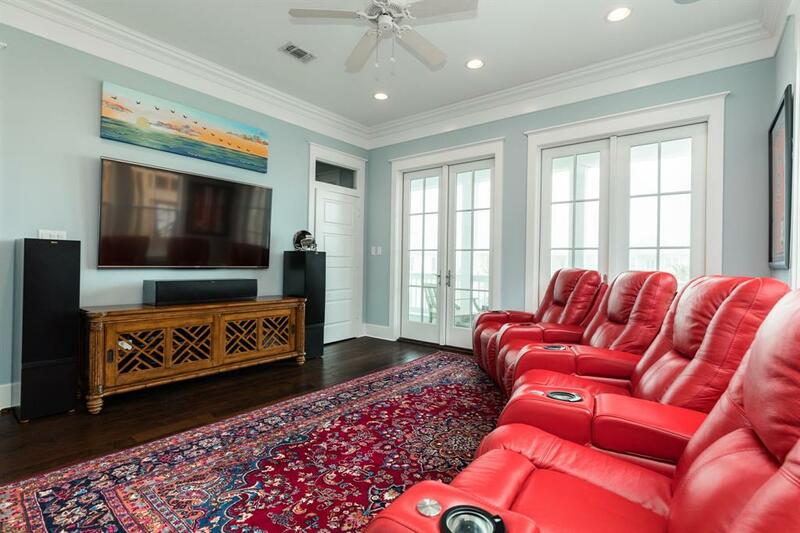 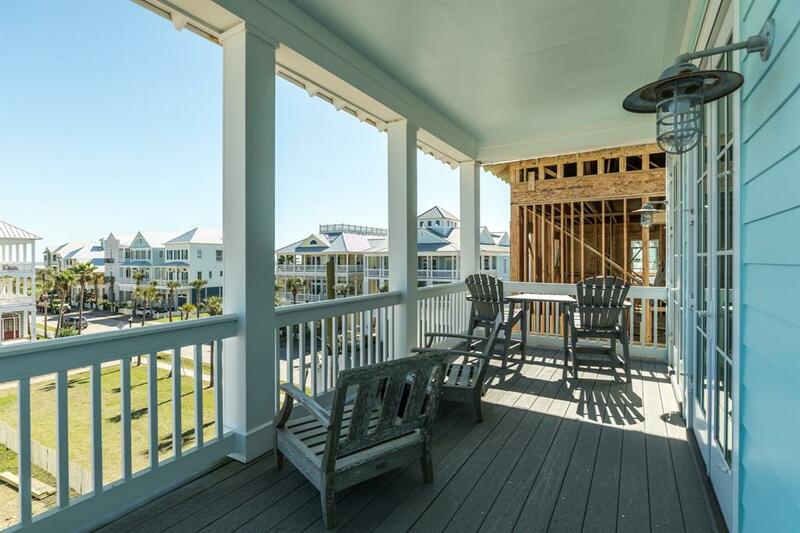 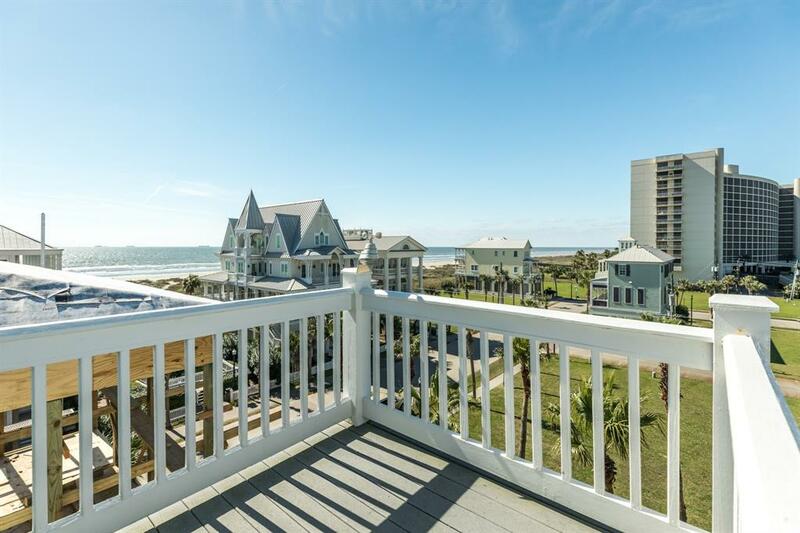 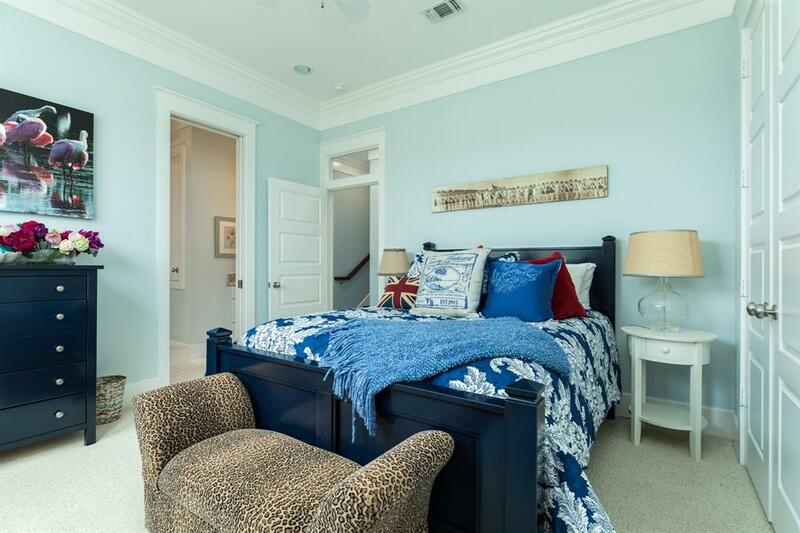 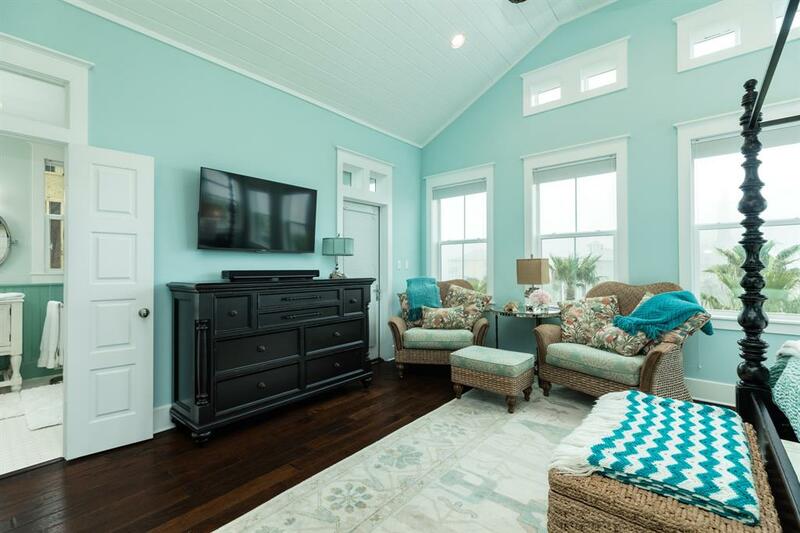 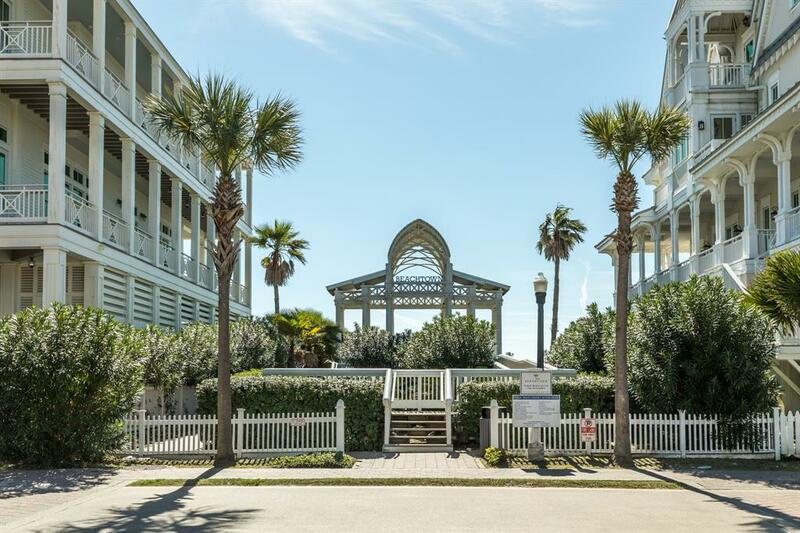 Upstairs is a grand master suite w/private deck & large porch w/Gulf views from an outstanding media room w/wet bar, mini refrigerator & microwave. 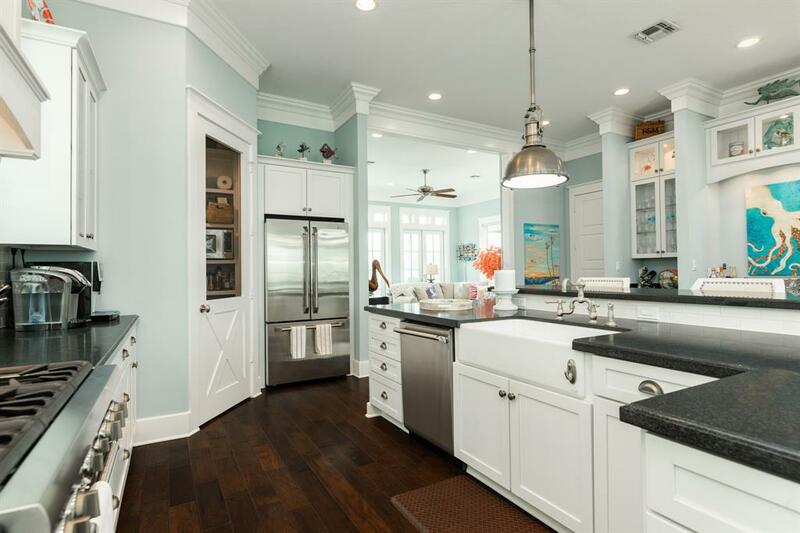 Large kitchen w/breakfast bar & huge island, farm sink.This house is being sold partially furnished.